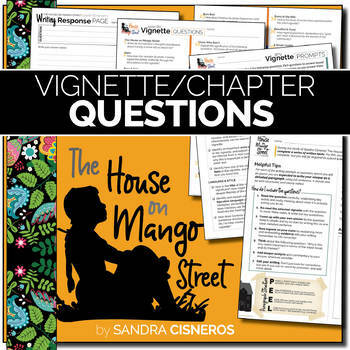 These question sets (two options) will help guide class discussions and provide students with plenty of writing practice when reading and studying Sandra Cisneros' The House on Mango Street. 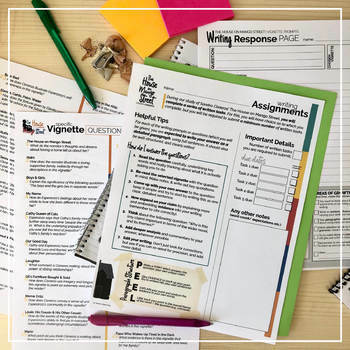 Set ONE is a collection of 44 higher-order questions (one per vignette) which could prompt deeper discussion, or provide students with an opportunity to practice their skills of literary analysis. Set TWO is a handout with general questions which could be used with any vignette, providing students with choice. Instuctions for how to use the resources in your own classroom (and an example of how I set up the assessment in my own unit). Student Handout with tips for writing answer and how to structure paragraphs of writing. 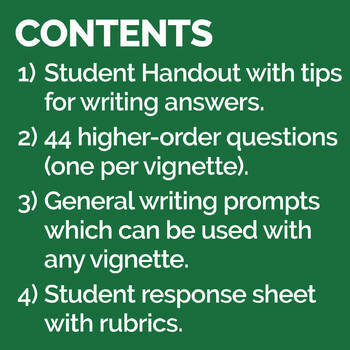 Two-page handout with 44 higher-order questions (one per vignette). One-page handout with general writing prompts which can be used with any vignette. Student response sheet with feedback rubrics for quick grading. The House on Mango Street UNIT PLAN (coming soon): A unit with pacing guide, daily lesson plans, worksheets, slideshows, and more! 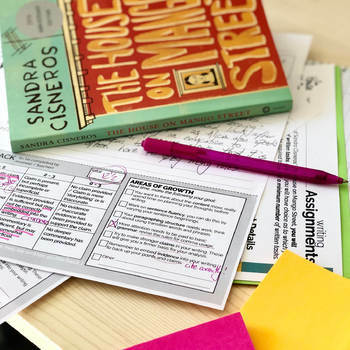 The House on Mango Street STUDENT WORKBOOKS: A comprehensive workbook resource for students; these were designed for differentiation in the classroom, to provide students with creative, engaging exercises for studying the novel. Key Quotations POSTERS: Attractive posters with key lines from The House on Mango Street, to brighten up your classroom walls and reinforce key concepts.